The first main view of Hollywood Studios is breathtaking. Some people were upset when Disney got rid of the giant Sorcerer’s Hat, but I was actually really glad they did! With it gone, the whole street opens up and you get a magnificent view of the Chinese Theatre sitting at the end. The whole boulevard feels like such classic Hollywood and looks absolutely stunning. Spooky can be beautiful too! I love the Tower of Terror lit up at night. From the beginning of Sunset Boulevard, you can see the whole strip illuminated with Tower of Terror as a sort of beacon. You can even spot the glowing tower from all around Disney property! I love that while driving away from the park, I can still make out the shining letters! To no one’s surprise, Mickey saved the day! 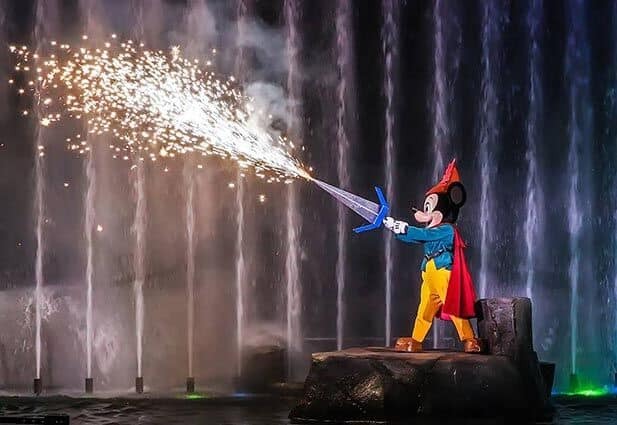 All of Fantasmic is beautiful to me, but there’s something so special about that finale. The second that big, white boat approaches the lagoon, I get goosebumps. And it’s so fun to see Steamboat Willie at the helm! I love this part because the rest of the fireworks show is so technologically advanced and impressive, and the finale with the boat and characters is relatively simple, but it’s so beautiful all the same! I’m a big fan of theming. 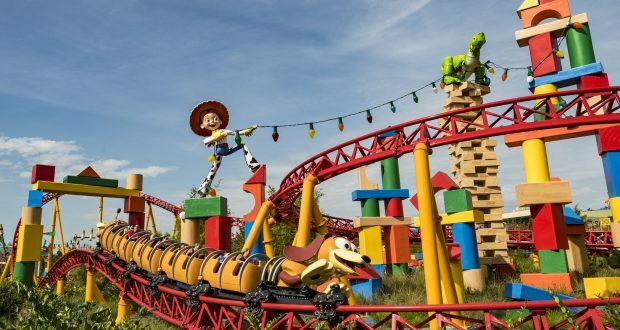 The new Toy Story Land 100% puts you into the story of Woody, Buzz, and the gang. The level of detail in this land is extraordinary. With everything big and bright, Toy Story Land takes over your senses. From the giant Slinky Dog to the biggest lunchbox you’ve ever seen in your life – juice box and snacks included – it’s stunning. Who doesn’t love Star Tours? I think this ride’s exterior is beautiful because it looks so authentic! The main entrance to the ride looks and feels exactly like Endor, the Ewok moon from Return of the Jedi. 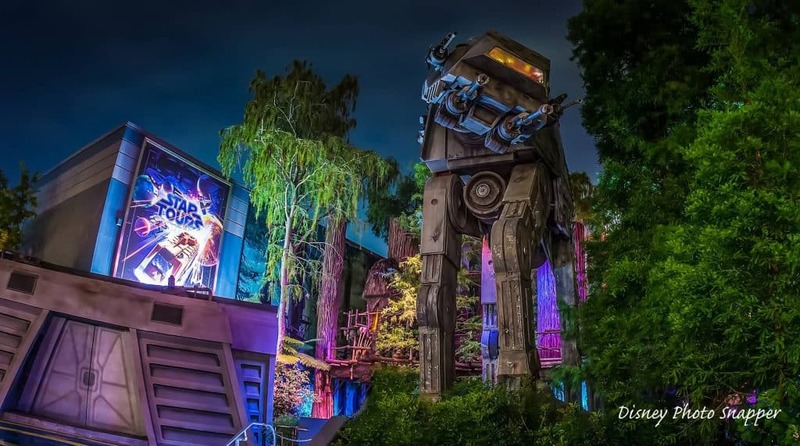 I love the queue to this ride for the towering treehouses and the AT-AT blasting off all the time! And the exterior of the gift shop looks just like a building from Tatooine. For a Star Wars junkie, it’s beautiful. Ahh…the dream. Dream on, more like! This could really be applied to any favorite Hollywood Studios rides, but Rockin’ Rollercoaster is notorious for its ridiculously long wait times. One of the most beautiful sights you could possibly see at this park would be a five-minute wait. If you time your visit just right, you might be so lucky! Hollywood Studios now has several regular nighttime spectacular shows, and they’re all beautiful. But I love Disney Movie Magic in particular. 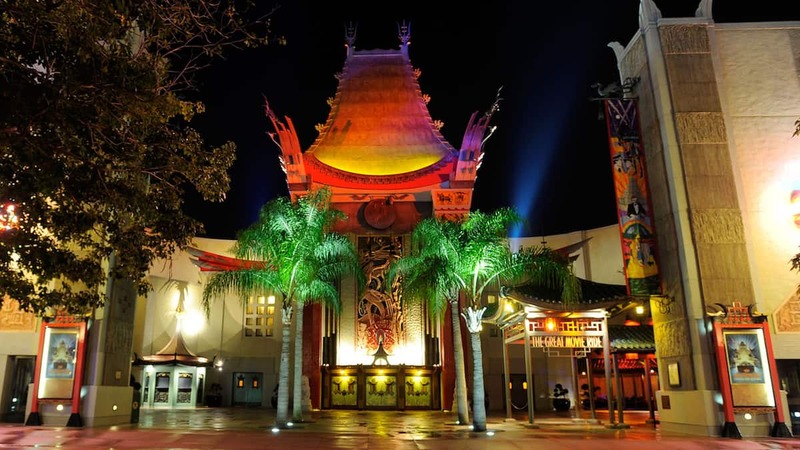 This ten minute light display projects some of your favorite Disney movies onto the Chinese Theatre itself! To me, this feels like a small replacement for the Great Movie Ride. Regardless, the lights and colors and timeless Disney scenes are utterly gorgeous! For the saps here, Beauty and the Beast reuniting at the end of Beauty and the Beast Live on Stage is a beautiful sight indeed. Though short and extremely abridged, this classic show is a fan favorite. 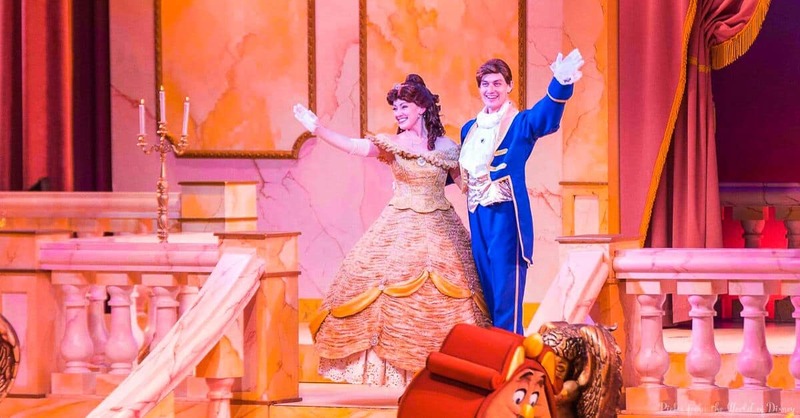 There’s nothing quite like seeing Beast’s transformation into the Prince and Belle’s shocked expression. When they come out in their ball gowns at the end and seal it with a kiss, the crowd goes crazy. Beautiful!